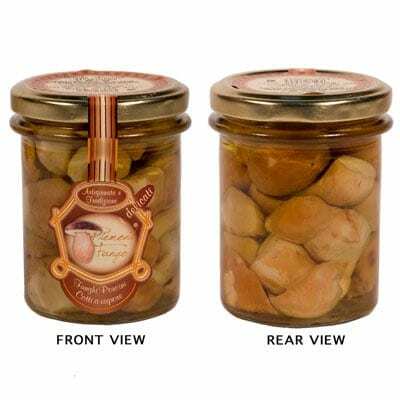 Perfect as a ready-to-eat antipasto or contorno to meat dishes, this jar of lovely Porcini Mushrooms in Olive Oil are from Piemont Fungo. On topf of that, it can also be a great addition to your salads or vegetable dishes. It has a creamy smooth texture and distinct nutty aroma. To some palates, it can taste a bit like some tangy Sourdough bread. You can also add it to some of your favorite risotto dishes, if you’d like. Looking to fill that antipasti platter for a dinner party you’ll be hosting? Impress your guests and try these savory ready-to-eat porcini mushrooms.